I am always on the look out for uplifting and inspirational music to add to my 10 y/o MP3. While browsing at videos in youtube this video came up. It was love at first note. I absolutely love the arrangement and the energy of the song. The song is "Oh Happinness" by David Crowder Band. The David Crowder Band (marketed as David Crowder*Band) is a six-piece Christian Modern Worship band from Waco, Texas. 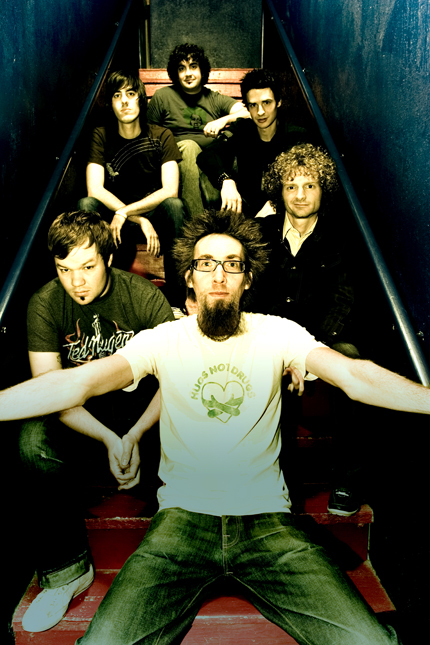 The band began when David Crowder, from Texarkana, Texas, realized that almost half of the students at Baylor University were not attending church, which he found surprising since it is a Christian university. He and Chris Seay started University Baptist Church (Waco, Texas) in 1995 while he was still a student. Crowder led worship there and continued to do so throughout the year. The church's congregation grew, as did the band's lineup.